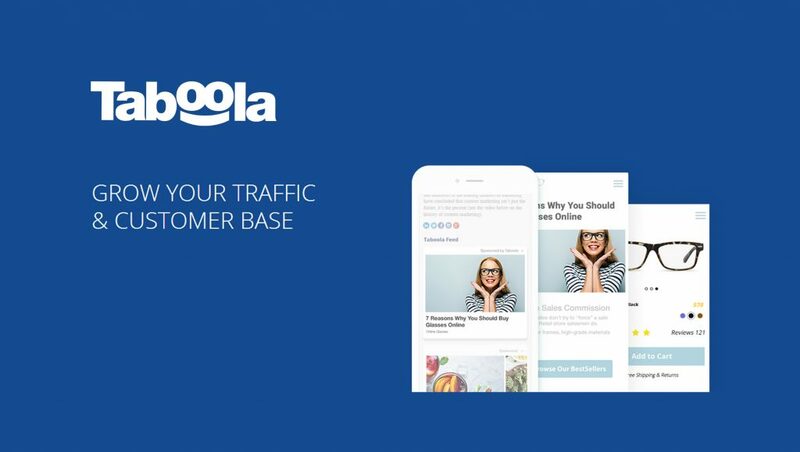 Taboola, the leading content discovery platform, launched “Taboola Data Marketplace”, a transparent marketplace that gives advertisers access to third party consumer data from the world’s leading data providers within the Taboola platform. Oracle Data Cloud, Neustar, and Acxiom are among the first data providers to partner with Taboola. Marking another step in advanced audience targeting, the Taboola Data Marketplace empowers marketers by providing seamless and transparent access to the world’s best data companies, helping them better target relevant audiences in the Taboola Publisher Network. Taboola acts as a search engine in reverse. Instead of expecting people to look for information, Taboola surfaces relevant and personalised information to people at the right time. Its predictive engine analyses hundreds of real-time signals (including location, device type, referral source, social media trends and more) to match users with content they are most likely to be interested in consuming next, generating more than one billion moments of discovery (clicks) each month. Armed with the data insights available on Taboola Data Marketplace, marketers will now better be able to create advertising campaigns that target specific audiences and work towards key performance indicators (KPIs). This transparent and easy system allows marketers to leverage the segments that drive ROI most effectively in a seamless way. The Data Marketplace is uniquely performance-based, allowing brands for the first time to only pay for data layered onto campaigns based on performance results rather than on usage. Julie Fleischer, Vice President, Product Marketing, Neustar, said, “Advertisers who access AdAdvisor audiences through the Taboola data marketplace can build rich custom audiences and activate them consistently for digital ad targeting, ensuring they reach the same people, places and things across the entire marketing campaign. Each data partner offers specific insights across industries and consumer types to offer opportunities to increase campaign performance. Brands will have complete visibility into which data segments and data suppliers work most effectively within their budget. Currently, Taboola serves over 360 billion editorial and video recommendations to over 1 billion unique visitors every month on some of the Web’s most innovative publisher sites, including USA TODAY, Huffington Post, MSN, Business Insider, Chicago Tribune and The Weather Channel.